Home > General Solar & Storage News > A Solar Waste Crisis On The Horizon? A Solar Waste Crisis On The Horizon? A pro-nuclear group has warned of a potential solar waste crisis – so what is happening with regard to solar panel recycling? The group, Environmental Progress, says solar panels create 300 times more toxic waste per unit of energy than nuclear power plants and also claims solar requires around seven times more materials per terawatt-hours produced than nuclear power. The discussion thread accompanying the report has some accusing Environmental Progress of not making an apples-to-apples comparison between the two technologies on a number of fronts. 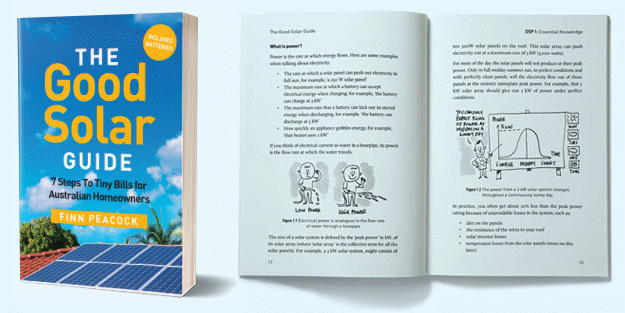 SQ blogger Ronald has written previously on claims in relation to the impact of solar panels on the environment. The group’s report also brings the important issue of solar panel recycling back into the spotlight. While good quality solar panels are expected to have a service life of at least 25 years (and some have already been working for much longer), something needs to be done with the panels when they reach the end of their life – and landfill is certainly not a good option. In Australia, there are now more solar panels installed than there are people in the country. Australia’s solar revolution started kicking into gear around a decade ago; so it’s an issue that will become more pressing within 15 years. Added to this are the poor quality panels that will fail sooner and those that are damaged in the interim. The issue of end-of-life solar panels shouldn’t just be viewed as a potential threat – it’s an opportunity, and a significant one. A report published last year by the International Renewable Energy Agency (IRENA) states a typical crystalline solar panel (c-Si), consists of around 76% glass, 10% polymer, 8% aluminium , 5% silicon, 1% copper and less than 0.1% silver and other metals (being mostly tin and lead) by weight. These percentages will change somewhat over time as manufacturing processes are refined and reduced amounts of materials such as silicon are used. By weight, most of a crystalline solar panel is recyclable – glass, aluminium, silicon, copper and silver are all valuable materials. Environmental issues combined with the lure of huge profits provides a compelling case for solar panel recycling not falling by the wayside. In Europe, the Waste Electrical and Electronic Equipment Directive (WEEE) requires producers to take-back and recycle solar panels – and consumers must not face any additional cost for the service. 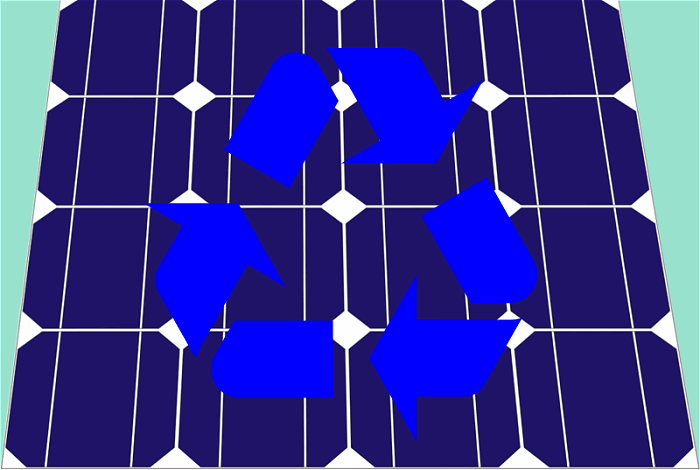 Established in 2007, non-profit PV CYCLE has played an important role in solar waste management in Europe, where it guarantees average recycling rates between 90 and 97%. PV CYCLE is gradually building out across the world and already has a presence in the USA (SEIA also implemented a program last year in the US). In May, PV CYCLE launched its take-back and recycling service in Japan. According to Global Market Insights, recycling laws and regulations are to be introduced in China to address growing panel waste volumes. Some solar panel producers have introduced their own programs. For example, First Solar has its own recycling facilities in the U.S., Germany and Malaysia. Reclaim PV Recycling, which appears to be the nation’s only PV recycler at this point, is developing infrastructure for the future of recycling and waste management in Australia’s photovoltaic industry. According to an article published on The Lead last year, the company was working with several tier one panel suppliers including SunPower; with more manufacturers in its pipeline. Status of the program was unclear at the time of publishing. While the issue of end-of-life solar panels is an important one, the outlook may not be as dire as Environmental Progress seems to portray. Progress is being made, but it’s important that it continues and accelerates so solar panel waste doesn’t become a huge problem in the years ahead. It could be the case that Australia could make a mint out of letting other nations dump their old panels here. We’ve plenty of room. Heres the thing nuclear already has systems with zero waste. We already recycle glass and the other metals. Recycled silicon (Si) can be easily made into SiO2, which is more glass. The remaining issue is cleaning off the back-sheet and plastic polymers in a ecologically responsible manner. I am not a chemical engineer, but I am reasonably sure that we can find a profitable way to do that as well. Finding and having it are 2.different things fact is we don’t have it now and the waste is building. I see Reclaim Solar Recycling claims they can remove functioning solar cells from old panels, so at some point I might ask them about that and write an article on it.